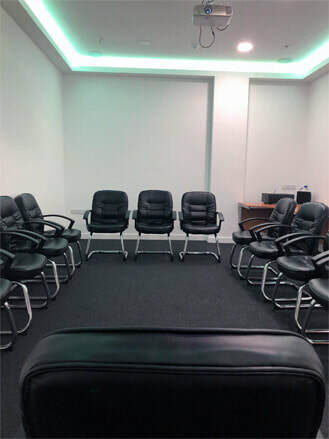 Ultrasound BabyFace's recently built clinic hosts two modern and well-finished rooms, perfect for; holding meetings, running courses, training sessions and team building activities. 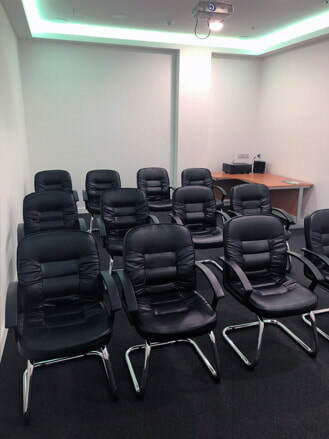 These intimate yet spacious rooms hold up to 12 people sitting, and 20 standing. 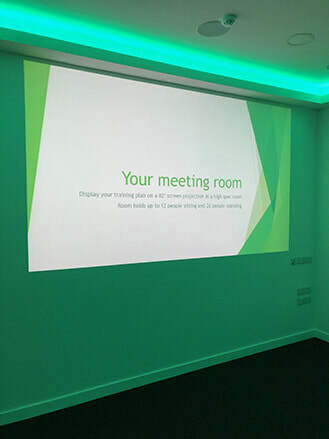 Rooms are fully fitted with an 82" projected screen, surround sound, ambient lighting and comfortable chairs. Hot drinks and water are included in the package. A large food court is situated within close proximity to the venue. Parking is available within the facility. 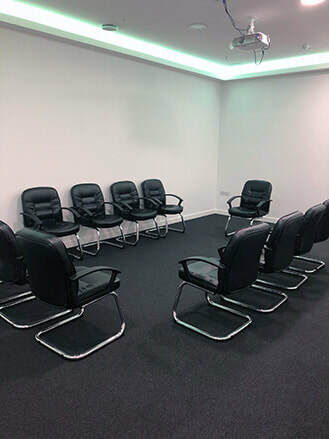 The layout of the room can be moved around in accordance to your needs and size of group. As part of the display we offer a whiteboard with markers and a flip chart so you are able to utilise the plain walls with your display. 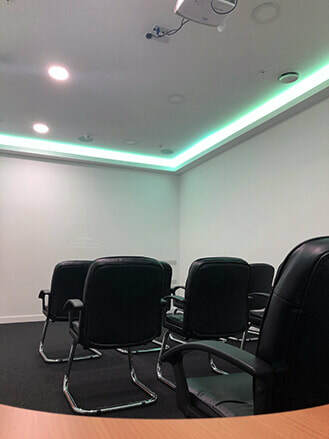 Price of the rooms are from £20 per hour, we can offer a discount for local business and affiliates. At the end of the M32 bear right onto Bond Street (A4044). At the roundabout take the 1st exit onto the Haymarket. Take 2nd left onto Bridewell Street, then turn left onto Nelson Street and finally take the first right onto Fairfax street. You will then see The Galleries car park on your right. From the A4 Portway or A370 into Hotwells road towards the City Centre. Take the 3rd exit at the roundabout onto Anchor road. Take the right hand lane at the traffic lights after the Aquarium, then take the first right onto Baldwin Street. At the end of the road bear left at the lights. Follow the road around to the right and the car park entrance will be on your left. If you’re following a satnav, please use our nearest postcode: BS1 3DQ, which will bring you to within a couple of hundred metres from our car park entrance.